Did you have good travels? Did you read anything wonderful along the way? Love this shot. She is so absorbed in the task of selection. One of the best enjoyments, browsing book sales to find a treasure. I like the colours in the photo, esp the beautiful blue cloth purse against the red jacket. I stopped at a similar book sale yesterday organised by Lions. All books were 2 SEK which I found surprising as we have 5 SEK coin and 5 SEK is nothing. Always a delicious moment, to take time to read the title, to dream about the inside, then to take the book ... Great shot! 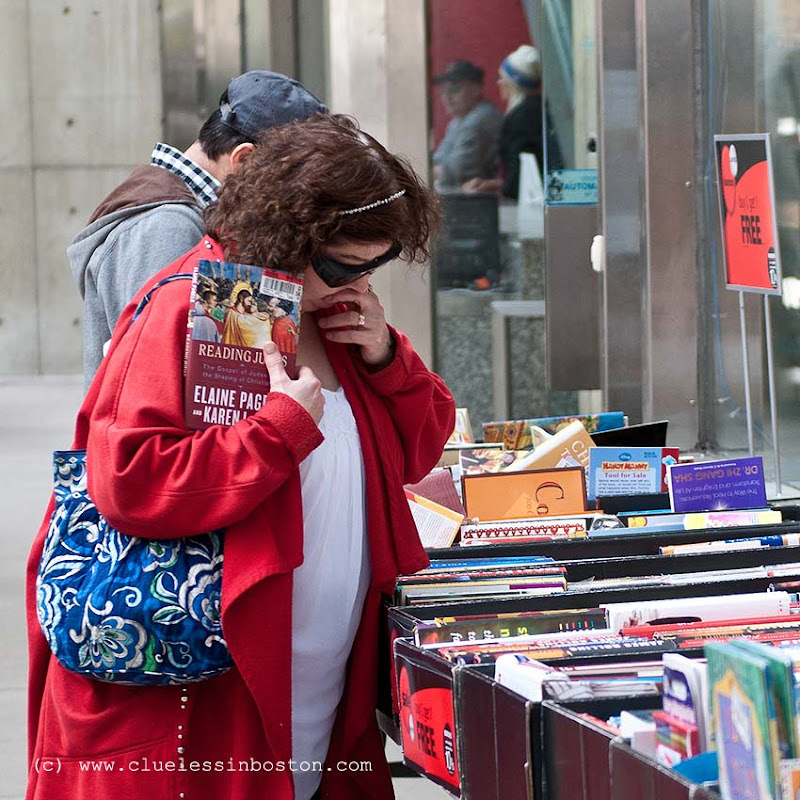 A book sale--- nice way to spend a sunny or dreary day. I love digging through books but when you are traveling you cannot let your purchases overload your ability to get home with them! Great shot with vivid colors!